Here is a perfect gift for a newly wedded couple. This not only makes a thoughtful and beautiful gift but it can also become a family heirloom. 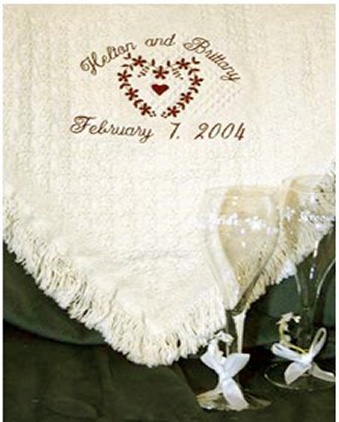 We can personalize a soft blanket with the couples names and wedding date. You just tell us what you would like to see on the blanket.